If you’re a regular PurseBlog reader, you know that Megs, Hilary and I all have really different, distinct tastes in accessories and clothing. Megs tends to lean toward clothes with a hippie vibe, Hilary likes clean-lined, modern neutrals and I like lots of industrial black mixed with occasional bold prints and colors. Somehow, all three of us find a lot to love at British retailer AllSaints, which has a location in Soho that we all visit semi-religiously. AllSaints also has a handful of other US standalone stores, in addition to shop-in-shop locations at select Bloomingdale’s locations around the country. If you don’t have one near you, there’s always that old standby: the Internet. We’re particularly fond of AllSaints Fall 2012, which marries cool-girl leather with effortlessly modern shapes and enough neutral earthiness and natural details to keep the whole thing from skewing too industrial. The end result feels extremely modern and current, and the contemporary price point keeps many of the brand’s pieces accessible to people who are looking add a note of edge to their wardrobes. Need some ideas for taking your style to the next level? Check out our recommendations from AllSaints Fall 2012 after the jump. 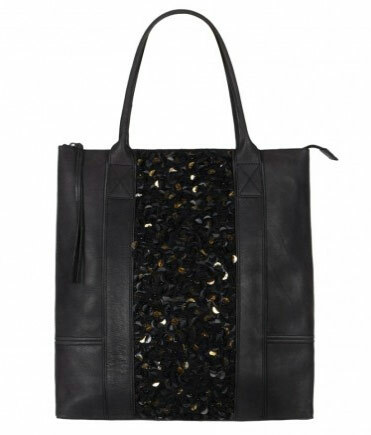 Of course, we had to start with a bag – the AllSaints Bolshevik Tote Bag, to be precise. 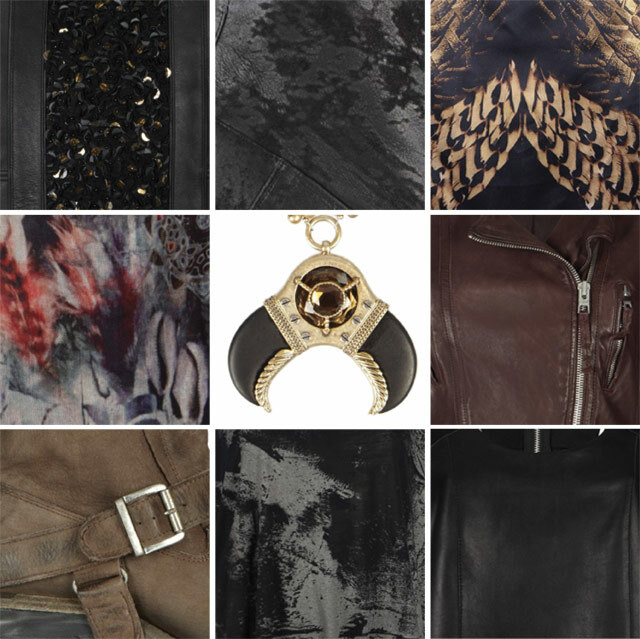 The combination of black leather with hints of gold is huge for this season, and this design makes it happen without being too precious or stodgy. Buy through AllSaints for $295. Naturally, a black bootie is a classic fall must-have. If you’d like yours to be a little less ordinary, the AllSaints Shard Bootie offers a bit of texture while still staying neutral and wearable. Buy through AllSaints for $395. 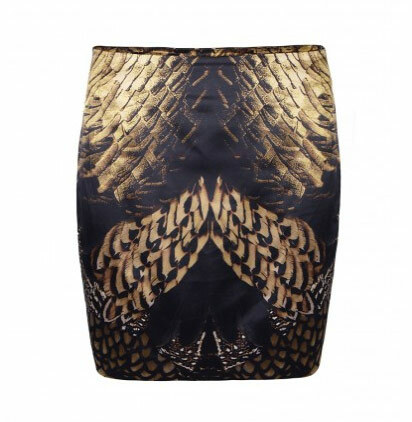 Most people add prints to their wardrobe by way of a top or dress, but pair a neutral top with this AllSaints Paradise Skirt and you’ll look much more modern. Buy through AllSaints for $150. 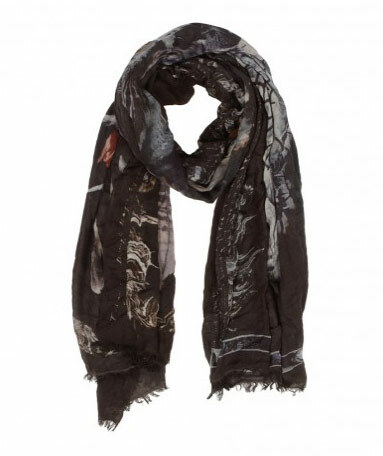 Everyone needs a scarf wardrobe for winter, and the AllSaints Dreams Scarf, printed with the stylized image of a dreamcatcher, covers a lot of bases with its beautiful range of colors. Buy through AllSaints for $135. My favorite part about cold-weather dressing is the opportunity to layer up my soft knits and sweaters with loads of tough jewelry. 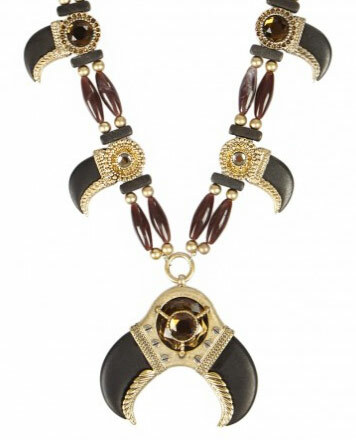 The AllSaints Lakota Claw Necklace is a surefire conversation starter. Buy through AllSaints for $195. Most people already have a black leather jacket in their closet, but why not expand your horizons a little bit? 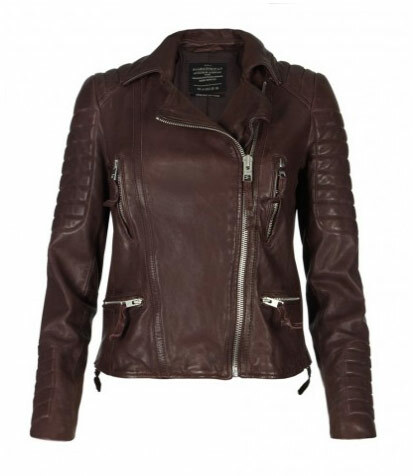 Not only is the AllSaints Oxblood Biker Jacket in the hottest color of the season, but the deep red color functions as a neutral on most color arrangements. Buy through AllSaints for $550. 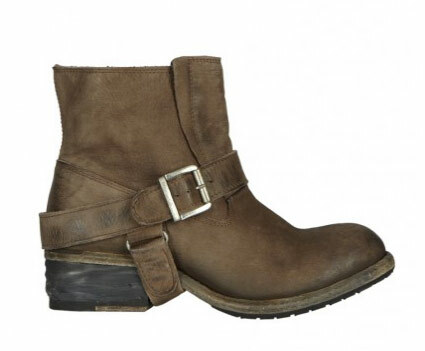 If your style skews a bit more toward haute gypsy than biker chic, you can still wear moto boots for fall – just pick a rich brown pair like the AllSaints Jules Biker Boots. (They also come in black!) Buy through AllSaints for $275. Sometimes, you just want to be able to throw on a pair of leggings and a fluffy sweater and run out the door. 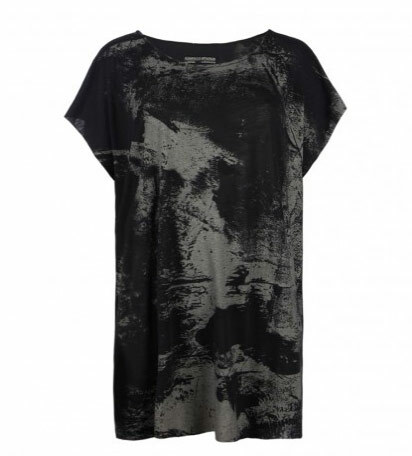 The AllSaints Haze Tee Dress makes the perfect foundation for that outfit – neutral, expensive-looking without actually being too expensive and long enough to cover your rear. (That last part is very important.) Buy through AllSaints for $95. 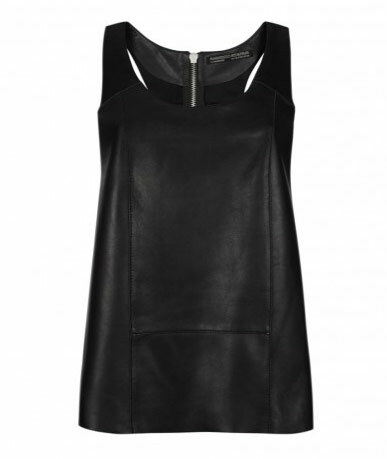 All Leather Everything is a Fall 2012 trend that’s currently going strong on the Spring 2013 runways, so you’ll want to get a piece of it now – the cool, easy-to-style AllSaints Dash Tank is the perfect place to start your leather wardrobe. Buy through AllSaints for $275.